Ponce De Leon, Fla— A woman, held against her will for several hours, is brutally beaten and cut. Now, her abuser is behind bars as a result of her brave actions. A domestic violence incident lasting several hours Saturday evening into the early morning hours Sunday has resulted in the arrest of Hayse H. Lowe III of Mack Edwards Road. The victim who resides with Lowe was struck numerous times in the head and back with a breaker bar. She was also cut numerous times with a butcher knife. During the incident Lowe destroyed the victim’s cell phone and would not allow her to leave the residence. At approximately 7:17am Sunday morning the victim was able to escape to a neighbor’s house and call 911. 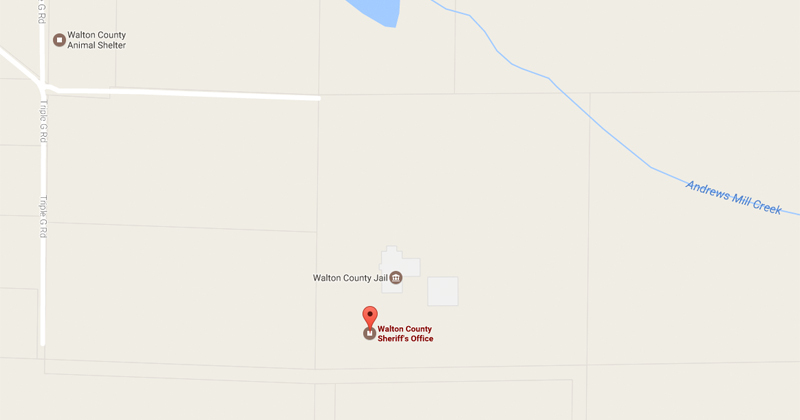 When Walton County Sheriff’s Office arrived on scene Lowe fled into the woods. A perimeter was established and Walton and Holmes Correctional Institutions both sent K9 teams to the area. Prior to their arrival two deputies spotted Lowe on the perimeter and he was taken into custody without incident. The victim was transported to an area hospital with numerous injuries. Lowe is charged with two counts of aggravated battery, false imprisonment, depriving 911 from a person, and resisting an officer without violence. He was transported and booked into the Walton County Jail. The investigation is ongoing.